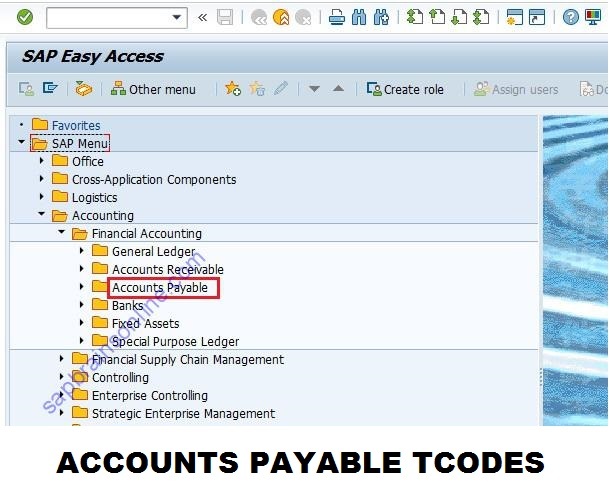 Here is a list of important 89 transaction codes used with SAP FI Accounts payable module. You will get more technical details with screenshots of each of these SAP FI-AP tcodes by clicking on tcode name link. F110S_DD_PRENOTIF Payment Runs After DD Pre-Notif. FPCR_ACTIVATE Applic. : Activate Garnishment Reg. FPIN_LIST Enter Arrears Days for Penalty Int.